Alex Katz was born on July 24, 1927, in Brooklyn, New York. In his youth, he attended Woodrow Wilson High School in Queens, which enabled him to devote his mornings to academics and his afternoons to art. He went on to study from 1946 through 1949 at Cooper Union in New York and from 1949 through 1950 at the Skowhegan School of Painting and Sculpture in Skowhegan, Maine. By 1954, Katz had his first solo show at the Roko Gallery in New York. The following year he began making cut-paper collages. In the late 1950s, he began to attempt greater realism in his paintings and became increasingly interested in creating portraits, particularly of his wife, Ada, who has been his model and his muse since they married in 1958, as well as of friends and family members. He also began using the monochromatic backgrounds which have become a defining characteristic of his style. In the early 1960s, he began producing large-scale works, often with dramatically cropped faces. After 1964, he began depicting groups of figures including artists, critics and others in his social circle, which he continued through the 1970s. In 1965, he added printmaking to his artistic repertoire. 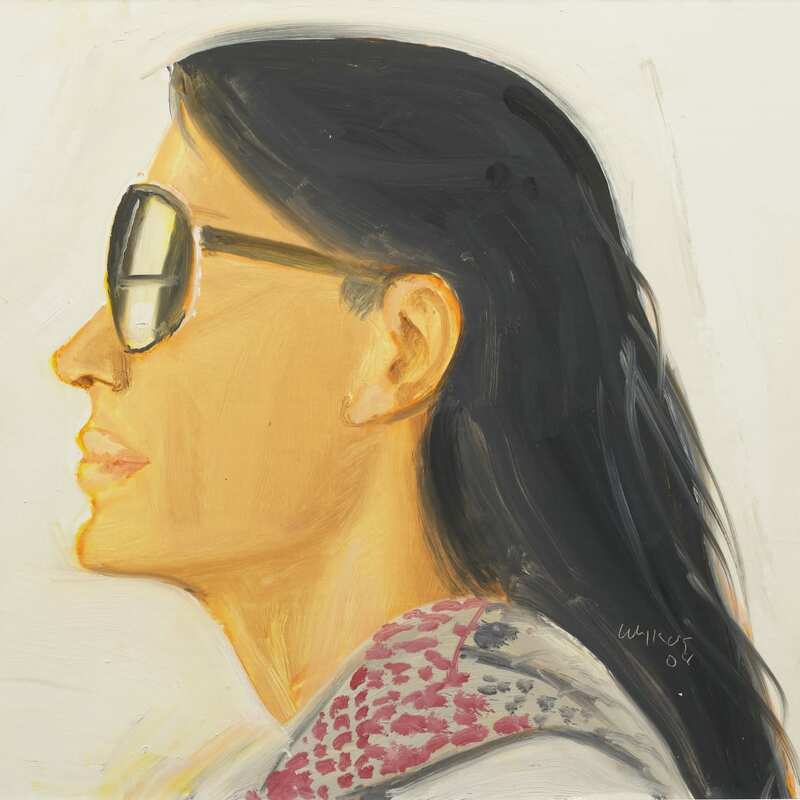 In the 1980s, Katz began using fashion models as subjects for his portraits. In the late 1980s and 1990s, he began to focus on large landscape paintings that give viewers the sensation of being enveloped by nature. In 1986, he began series of night paintings to explore a new type of light. From the 1990s through the beginning of the 21st century, he created many paintings exploring the theme of light falling through tree branches. At the start of the 21st century, he also began painting multiples of flowers. In 2010, he began cropping his individual portraits more severely and started creating paintings featuring sequences of multiple closely cropped images of a single subject depicted from various angles. He has recently begun to work from images he takes with his iPhone. Katz's work has been the subject of more than 200 solo exhibitions and nearly 500 group exhibitions internationally and is found in public collections throughout the world, including the Paul J. Schupf Wing for the Works of Alex Katz at Colby College, one of the few museum wings in the United States dedicated solely to the work of a living artist.